The birds are chirping, the flowers are blooming, and the fresh slices of Prosciutto di Parma are waiting for you on the picnic blanket. 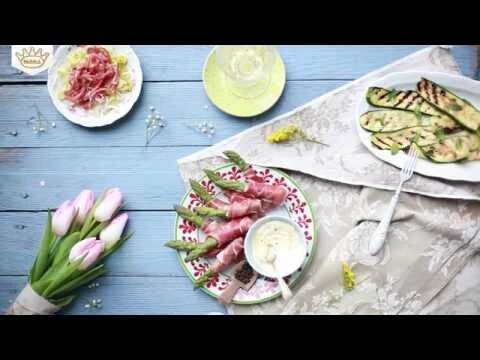 Spring gatherings with family and friends call for white wine, fresh fruit and delicious Prosciutto di Parma. Add a slice of life to everything from your charcuterie boards, to your picnic spreads, to your salads and pizza. We’ve put together some of our most popular springtime favorites that are sure to make all your spring moments an occasion. It’s finally gardening season! Switch up the way you serve your fresh veggies, by wrapping them in delicious slices of Prosciutto di Parma. This tasty source of protein pairs well with a variety of veggies, adding a subtle and delicate savory-sweet flavor. Talk about an all-natural, refreshing snack. Few plates get as much love and excitement as charcuterie boards. Complete your picnic spread with this crowd-pleasing favorite with the help of our charcuterie hacks. Educational material retailers and foodservice professionals should know before buying, selling and slicing.